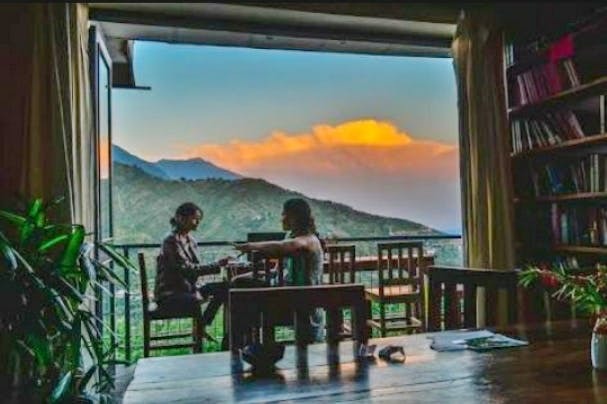 Step into Illiterati Cafe for a breathtaking view and a cosy escape for your soul! They have a fantastic collection of books, freshly brewed coffee, friendly and welcoming staff, and a space for improvising and engaging with not only other people but their in-house instruments too. Nothing, really. It's a perfect stop in Dharamshala. Illiterati is a spot for travellers; so be open to jamming and conversations with strangers, browsing through engrossing books, all done over really good food.